Jeter's Story . . . Original: "This boy possesses the best smile and he loves to let his tongue hang out the side of his mouth." Meet Jeter! He is an 18 month old happy-go-lucky boy that is an absolute joy to be around. His family in Virginia loved him very much, but they worked a lot and weren’t able to keep up with his exercise needs. As a result, Jeter ended up spending most of his time in the crate. Realizing that an active pup needs more attention, they turned to MAESSR to help find him the perfect forever home. 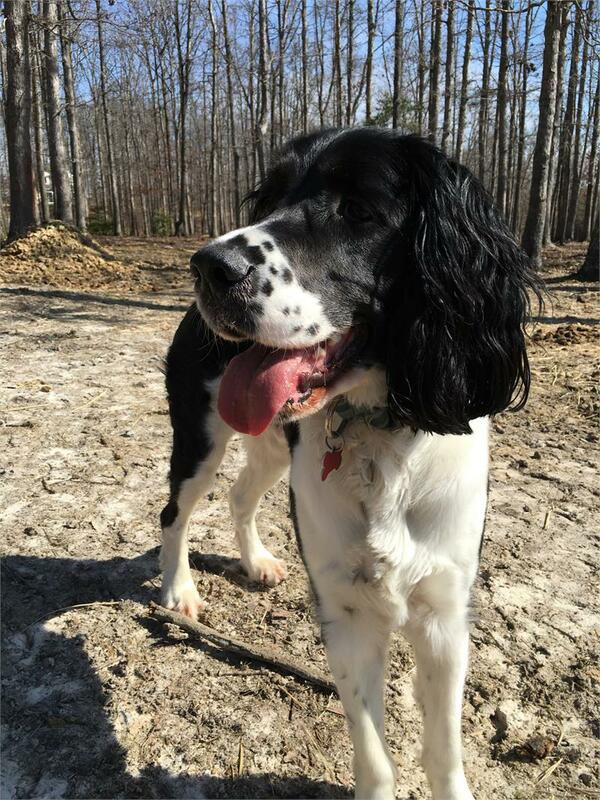 Jeter’s foster family has found him to be a happy guy that loves to run. He can be found bounding around looking for anything that might be a toy. And anything CAN be a toy – anything: blankets, dish rags, pants, Legos, and especially stuffed animals. This sweetie loves life and loves to play. Because he spent so much time in a crate it means that Jeter is absolutely 100% housetrained. No accidents ever for this guy! Luckily the crate is mostly a distant memory for Jeter, but he still goes in there for bedtime and for a couple of hours a few times a week when the family runs to town. 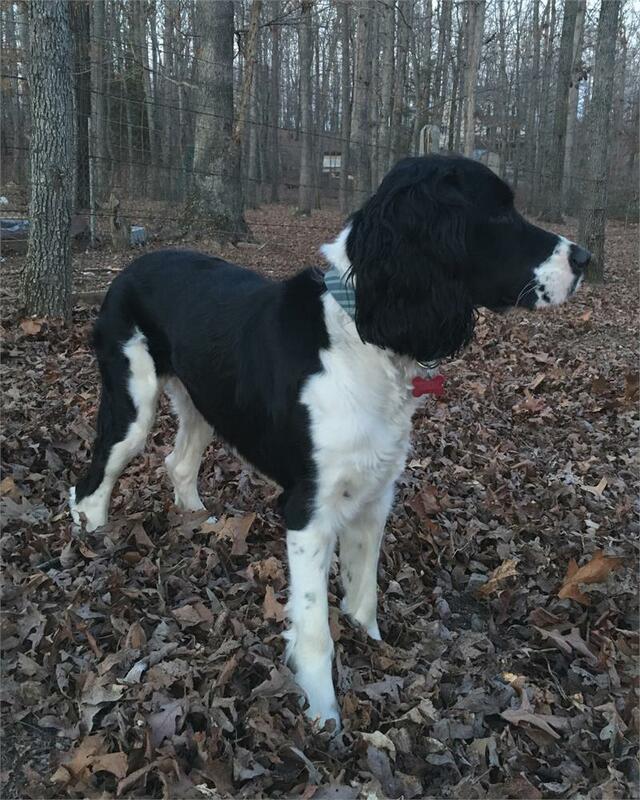 Right now Jeter is living the life on a farm with acres of room to run, a pond, horses, a cow, a doggie friend, a cat and chickens for company, as well as some little kiddie playmates ages one and three years old. Jeter really does require room to run around and burn off some of that energy that he has. He is a big goofball with long legs and a lot of “go.” He loves running around the pasture while his foster mom throws hay for the horses and takes care of the farm chores. 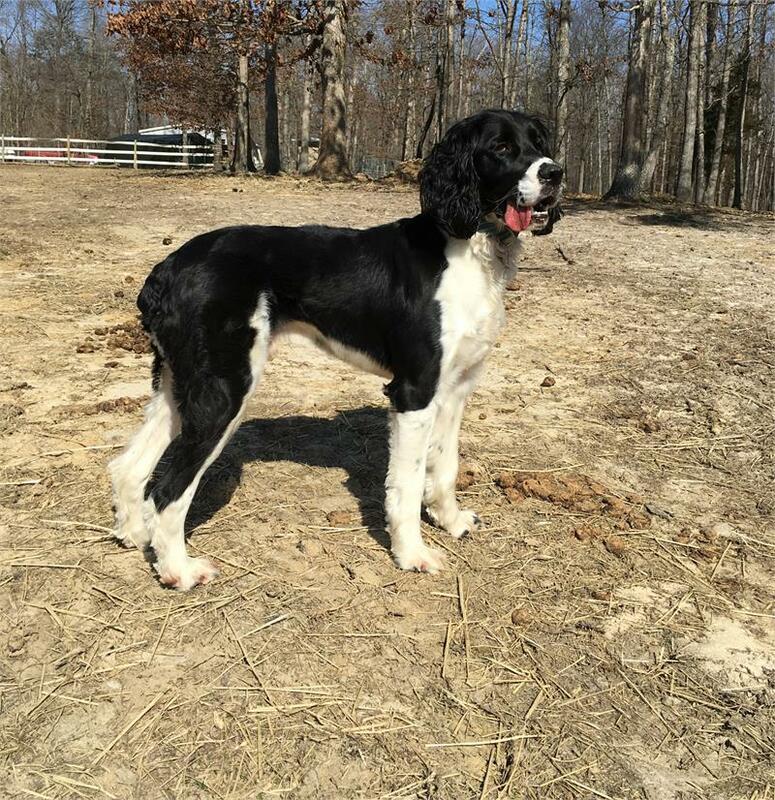 Jeter can be found running circles around the pasture and jumping in the pond for a quick drink and to cool off a bit…and then running around again! Some “playing chase” with the yearling filly is a daily occurrence. He is wonderful off leash, never going too far and often making sure a foster parent is coming along. He ignores the neighbor dog’s barking and hasn’t even gone to investigate. Jeter listens pretty well when told not to go somewhere and doesn’t even chase the chickens when he’s being closely supervised. He does, however, pull on the leash and would need work to walk nicely on a lead. Jeter knows very basic commands like” sit,” “lie down,” and “stay,” which he performs pretty well. He really is a big puppy dog. At 18 months old he’s full grown, but all puppy. Pretty much anything you could imagine a puppy would do, Jeter does. He jumps. He chews. He is very mouthy when he plays. He loves toys. He’s a great cuddler and will jump right onto his person’s lap for some snuggle time…and then finds that chewing their hair is pretty fun too! This boy possesses the best smile and he loves to let his tongue hang out the side of his mouth. He is getting a lot of practice with a new command “drop it” and has come a very long way in a week. 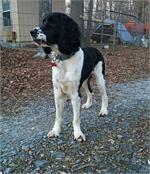 This boy will do best with a family that is experienced with puppies, one that can continue to consistently and calmly remind him of the rules. Although slightly stubborn, Jeter will listen and he is learning what is allowed and what isn’t. He is getting much better about counter-surfing and has nearly given up that behavior completely. It is important for potential adopters to realize that MAESSR only places puppies in homes that are committed to training and bonding with the pup in obedience classes. Puppies require a lot of care, attention, and patience, and they do chew on things! The decision to get a puppy and raise it to be a healthy, happy, and well-adjusted dog is a serious commitment. 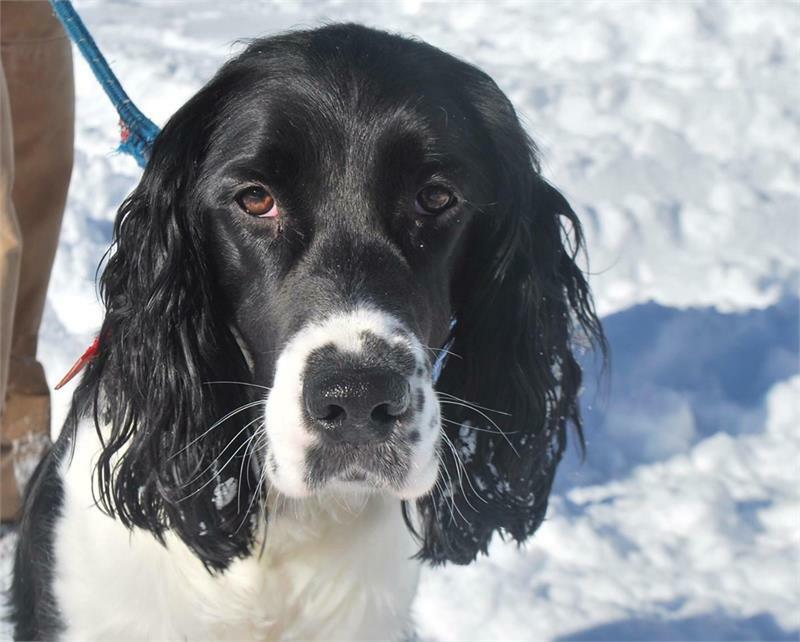 To reinforce this commitment, MAESSR requires all adopters of dogs one year old and under to enroll their puppy in obedience classes within 60 days of adoption. Even though Jeter is over a year old, he still is very much a puppy so these classes will be a requirement. Since he’s such a smart boy and quick learner, Jeter should be a star pupil. In his foster home Jeter has been wonderful with the young children but, because he has so much energy, he can (and does) knock them down occasionally. He also gets very mouthy when he plays so he will need a lot of work to end this behavior. For this reason he would be best suited in a home with children six years or older. He doesn’t have an aggressive bone in his body and can be trusted with younger children, cats, etc. Not much fazes Jeter! Although Jeter rides well in a car, he tends to be all over the place. For this reason it is best if he’s sitting next to the driver, riding shot gun, or in a crate. He is respectful when meeting new dogs and has never met an animal he didn’t like. There is no toy or food aggression and Jeter is completely comfortable having his ears, feet, and any part of his body handled and touched. 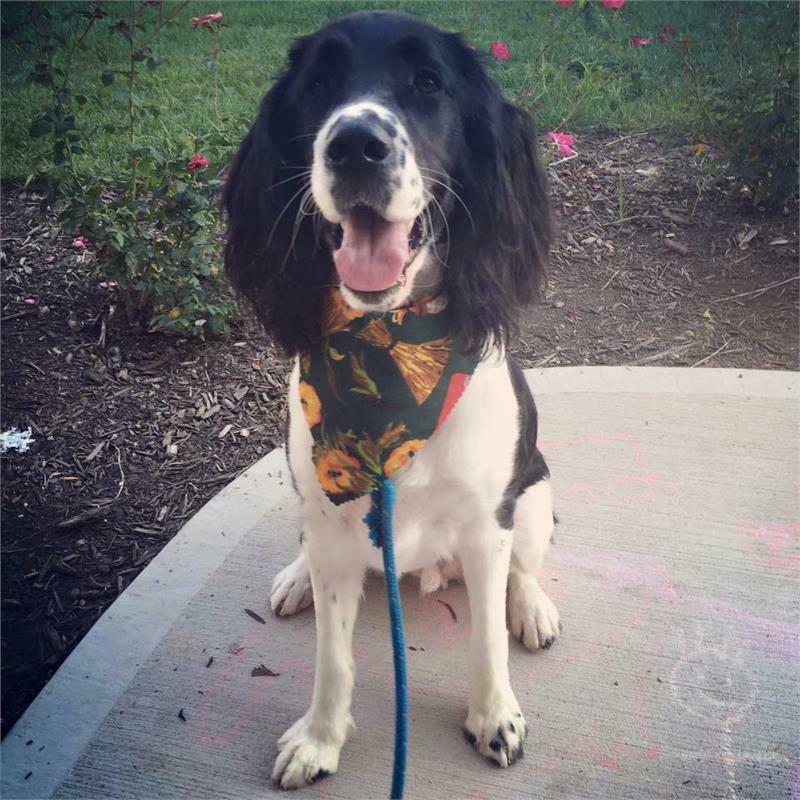 Jeter has been kept on a regular grooming cycle and is well-behaved for the groomer. Nail clipping and ear cleaning does not faze him. He was excellent at the vet. Jeter is truly a special boy that will blossom into an amazing dog with the right home. He will not do well without regular exercise and lots of room to run. An active person would find him to be a great jogging partner or hiking companion. 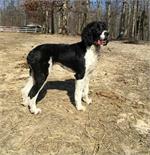 And he would be the absolute perfect farm dog! Easily making himself part of his family, Jeter would love to have some children to grow up with him. 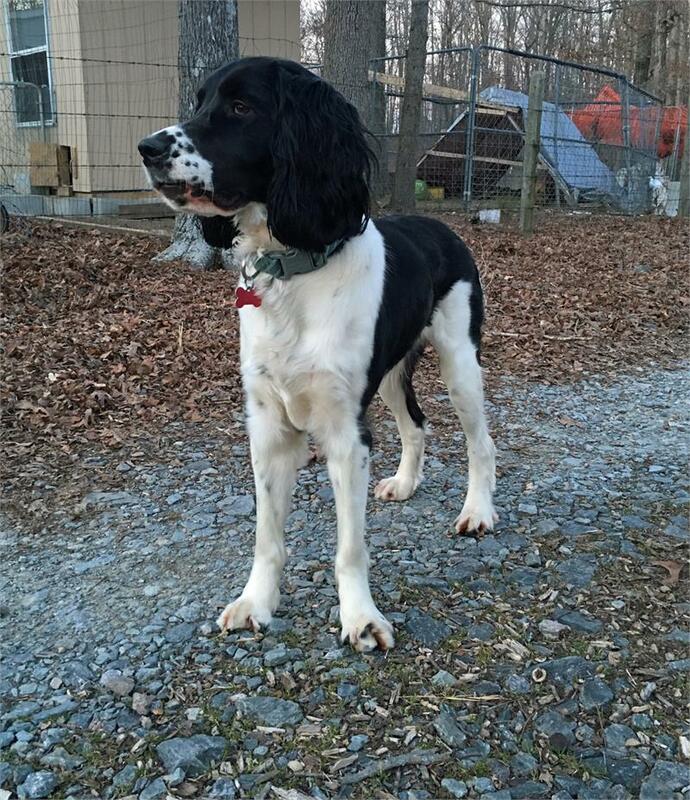 Do you have the time, energy, and wide open space to help this boy blossom into the best Springer he can possibly be? Ask about Jeter!